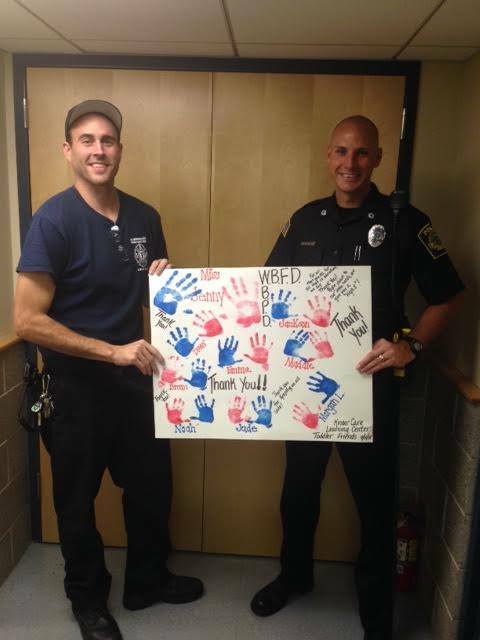 Today the Police & Fire Department received an awesome thank you from our friends in Miss Jenny’s class at KinderCare Learning Center. It’s stuff like this that reminds us why we do what we do. Thank you for making our day!!! !